Test image the plane created from front face of default cube. It still has the cube's origin. And is located at the origin. An empty is placed at origin and rotated 90 degrees in Z. The first copy will be rotated 1 x 90 degrees in Z, the second 2 x 90 and so on. 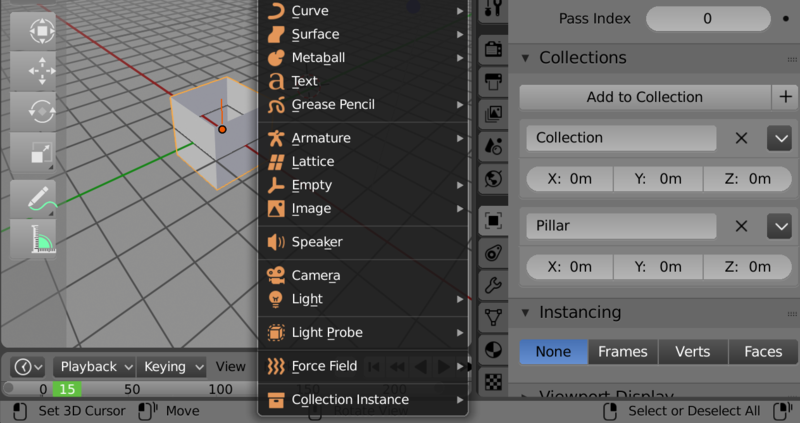 To add more pillars in the scene, make a group or in 2.80 a collection instance. Involves adding objects of pillar to a group (or collection) and adding a group instance from add object menu. Plane added to collection named "Pillar", A pillar can now be added at any time with shift A add collection instance, and choose Pillar. 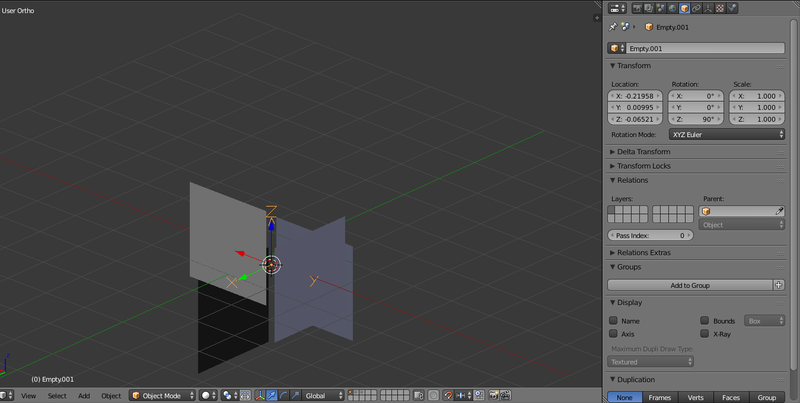 Every pillar in scene is made from one single 4 vertex plane mesh. Notice the option to offset an instance such that when placed its origin is at the base for example. Align the plane along the line x = y such that each end is (forgetting z) at (L, 0) and (0, L) in x and y. On a 45 degree angle from both x and y axis. Mirroring in X creates a V, mirroring in Y a diamond. Best way to mirror duplicate a rigged object? 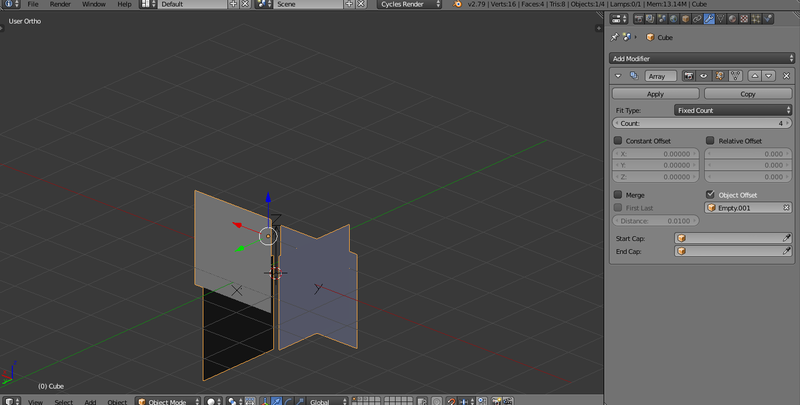 Why does a duplicated object not mirror correctly?